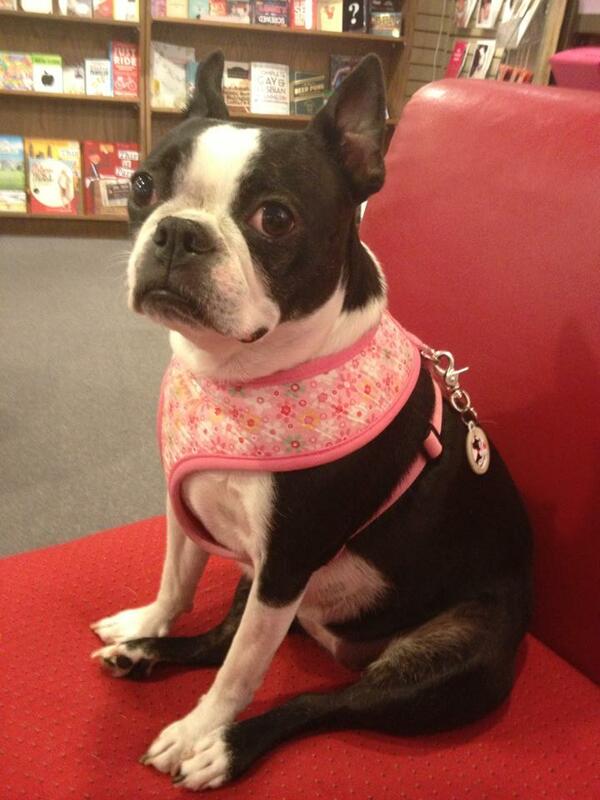 PULP hosted a book signing for Mr. Muller and his lovely Boston, Mirabelle. They'll be back again to sign more books during the Dog Days Sidewalk Sale! 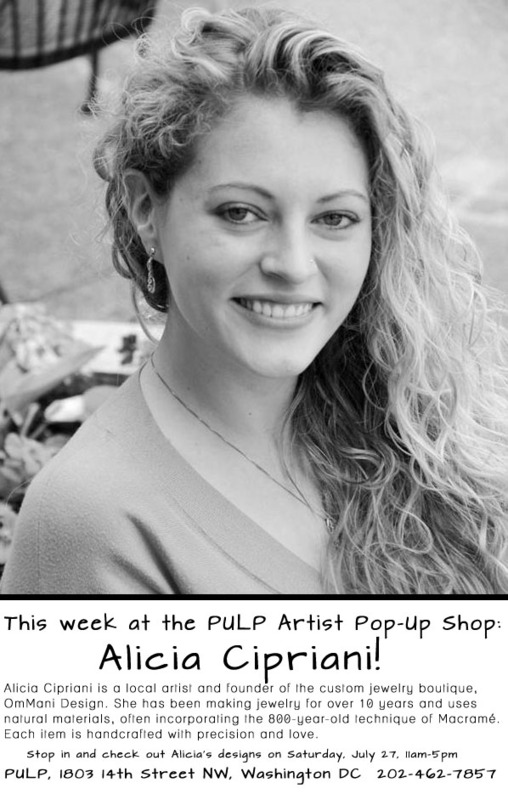 Alicia Cipriani is one of the jewelry designers featured in our new PULP Pop-Up Artist Shop series. Our entire store interior needs to be repainted. Our concrete floors are beginning to be gouged out, and need to be fixed. Our ceiling has spots that need patching and repainting, too. Our 10+ year old carpet on the mezzanine and stairs needs to be replaced. New ducts were put in, but wall repairs have not yet been made. 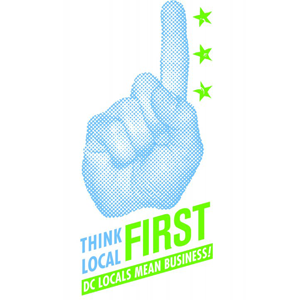 We've also discovered, now that summer's here, that our HVAC system will need to be replaced soon. Our back entrance also needs repairing. Lots of work to do around here! We're fans of public art, but this graffiti was etched permanently on our window some years back, and it looks bad. We have wood damage around our other windows, too. Here's some rotting wood on our front door. The entire door needs to be replaced. Lots of goofy novelty items! UPDATE: We've reduced our fundraising goal as will be financing most of our renovations from other sources, but still want you (our community) to join us for a portion of our renewal! Read our latest updates to learn more! 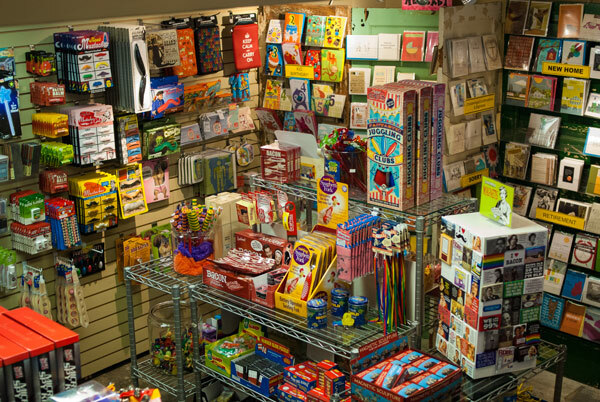 PULP, an independent retail greeting card and gift shop, is looking to make some much-needed improvements to our store and to our online presence! We’re asking for your help as we make some enhancements to PULP to match the great products we stock and for you, our awesome customers. 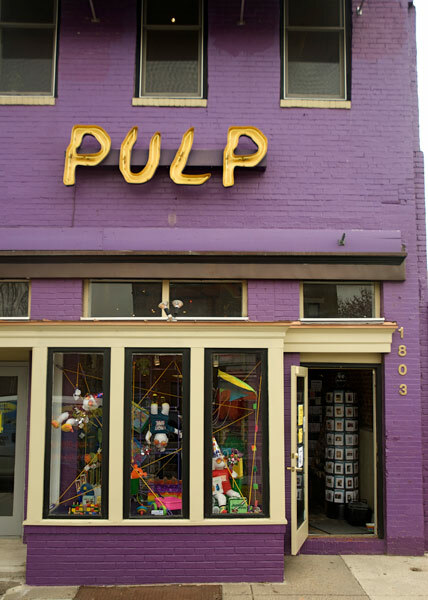 PULP has been in business for over ten years, but not much money has been invested in capital improvements. It's important for us now to refresh the store to keep up with demand and ensure that it meets the needs of our customers.